Aid agencies say evacuees in ‘urgent’ need of help. 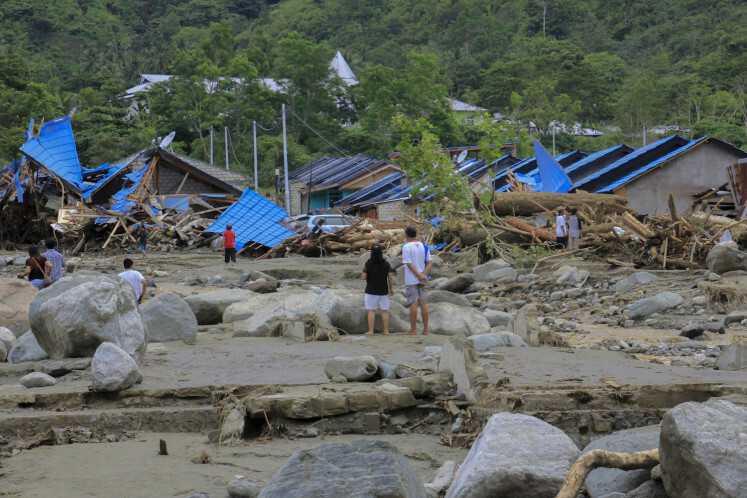 As of Sunday afternoon, at least 50 people were reported killed and 273 families had been left homeless following a flash flood in Jayapura regency, Papua. The flash flood occurred after heavy downpours in the area from Saturday afternoon to the early hours of Sunday. Jayapura Regent Matius Awoitauw told The Jakarta Post on Sunday that the survivors were in “urgent need” of emergency aid such as food and medication and facilities for burying the dead. Currently, 200 people are taking refuge at his residence while 1,400 others are sheltering in nearby schools. Dead bodies are being taken to hospitals in the region for identification purposes. He added that the regional government was working with the National Police and the Indonesian Military to record and evacuate any other residents from the area while building public facilities for evacuees. The Cendrawasih Military Command has set up a public kitchen that distributed 5,000 meals on Sunday at lunchtime. 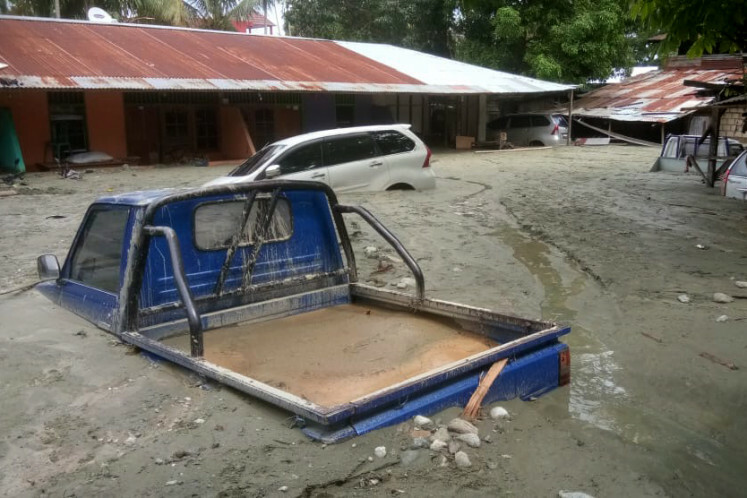 According to the National Disaster Mitigation Agency (BNPB), the flooding mostly struck the Sentani Kota district, affecting Sentani Kota, Hinekombe and Dobonsolo subdistricts and five villages, Kampung Sereh, Yoboy, Yahim, Yobeh and Ifar Besar. The regency administration also estimated that the flooding destroyed around 350 houses, 100 shophouses and two bridges. BNPB spokesperson, Sutopo Purwo Nugroho, said the flood had carried away several houses. He said he had seen nine houses being washed away. The airplane belonging to Cendrawasih Air that was parked in a hangar in Doyo Baru. It was dragged several meters. A BNPB helicopter was also dragged several meters from its position by the flood. The government has yet to estimate the total material losses caused by the disaster. Indonesian Environmental Forum (Walhi) Papua head, Aiesh Rumbekwan, pointed to “massive” deforestation in a nearby mountainous area, known as the Cyclops, coupled with a large volume of water in Lake Sentani as contributory causes to the disaster. “We can see this from the branches and trees that are floating. Those are not trees that have tumbled down in the rain, rather they are trees that have been cut down,” Aiesh said. He said some parts of the mountain had been turned into residential areas. The deforestation in the mountain area, Aiesh went on, had reduced the number of springs that usually flowed into Lake Sentani. He suspected that the overflowing of the lake occurred because of reclamation coupled with the dumping of garbage. Meanwhile, resident Yance Wenda said that the recent flooding was “more frightening” than a similar deluge in 2007 as his house was inundated within a mere six hours. “[The flood] brought down large rocks from the mountain. The torrent sounded like huge [ocean] waves,” said Yance, who has moved to a nearby church following the flood.